There are few things that make me happier than young people taking on the responsibility and vision of putting on a theatrical production. Stories need to be told; in these times of school budget cuts, creative outlets need to be there, and there needs to be something for kids to go to and enjoy. Academy Players has just the thing with their latest offering: Disney’s High School Musical. 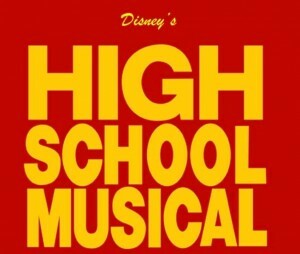 High School Musical is Disney’s answer to Grease with catchy tunes, dance numbers and a Romeo and Juliet storyline. However, unlike Grease, this is something parents can feel comfortable bringing their children to — the lyrics are clean, there is no pregnancy storyline and the ending is far less problematic. 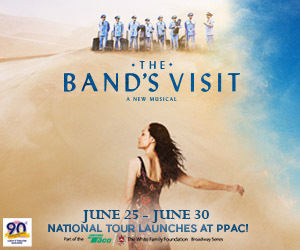 This is something you can bring even your youngest theatergoer to, and, in fact, Academy’s production would be a brilliant first play for a child. Theater is a true team sport, as this production makes clear. Each and every performance was energetic and fun, and it’s impossible to talk about one student performer over another, especially in a cast this size. This cast truly impressed me with their talent, professionalism and voices. I attended the show with my favorite theater partner, my son, and our favorite moments by far were “Get’cha Head in the Game” and, of course, “We’re All in this Together.” As the cast is largely made up of high school students (there are three students in middle school), seeing them come together to put on a show of this level is something you don’t want to miss! With High School Musical, Academy has something special that not only entertains, but helps the community. In the words of Mrs. Darbus, “Anything is possible in the theater,” and this group has embodied that sentiment. High School Musical runs April 11-14. Showtimes for the 11-13 are at 7pm, and the 14th is at 4pm.